DaCast is one of the most popular service providers for on-demand video and video streaming. 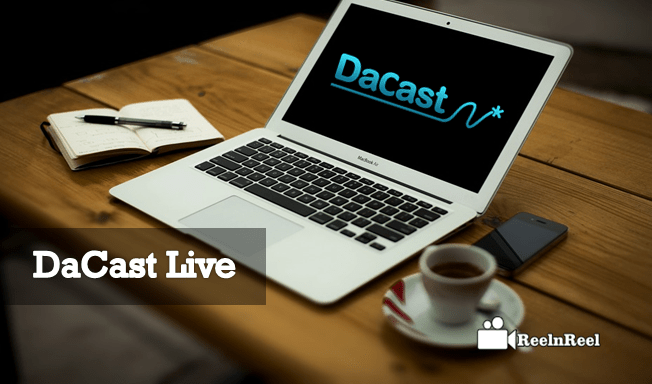 DaCast Live is an interactive, user-friendly and flexible service. DaCast can be used by even beginners as there is no need to have any technical knowledge to set up. The set up is quick and straightforward and is affordable. There is no restriction on users on this platform. Watermarking option can availed easily. There are many security options with geographic restrictions. Users can enjoy multi-bitrate content streaming. There is the massive playlist. The API of DaCast allows access to the code base. The content on this platform can be controlled by the users quickly as well as the monetization, streaming, and uploading. Different monthly plans are available to use DaCast. These are the Starter, Pro and Premium options. Among all these Pro plans is the most popular. Whatever the plan is, the users get quality streaming, unlimited channels, watermarking, third-party integration, mobile device support, free file encoding and others. The Starter pack of DaCast costs $19 per month, and it is 12-month commitment. It costs $228 per year if billed annually. Pro plan is the most popular one, and it costs $165 per month, and it is three-month commitment. If billed annually the price per month is $149. The cost of Premium plan is $390 per month, and if billed annually it is $350 per month. For starter pack the bandwidth is 100GB, viewer hours are 300, storage offered is 20GB, email support given, and price per GB is $0.19. For Pro plan the bandwidth is 2,000GB, viewer hours are 6,000, storage offered is 125GB, phone support was given and price per GB is $0.0825. For Premium the bandwidth is 5000GB, viewer hours are 15,000, storage offered is 250GB, phone support is provided, and price per GB is $0.078. For all plans, streaming data and monthly storage are included. The users can get 24/7 support. There are no viewer limits and the number of channels is unlimited. Other features available are full 1080p HD broadcasting, auto-archiving, mobile device support, embeddable HTML5 player, ad & logo free streaming, secure delivery, Geo restrictions, referrer restrictions, multi-bitrate streaming, FTP file uploading, play on Facebook and Twitter and others. Pro and Premium plan allow the users to access multi-level access (beta), customizable platform for resellers, white-label names, broadcaster API & SDKs and other advanced features. If the user is not sure which plan will be suitable for them, they can use the bandwidth calculator available on the official site of DaCast and estimate the video usage to get the best matching plan. Video has become very powerful. Statistics show that internet users are accessing more video content on their mobile devices. Businesses are trying to make the most of the online video growth to expose their brand to potential customers. Many online video platforms help in this and choosing the one may be difficult without actually comparing the features and pricing. DaCast is one of the most popular on-demand and streaming video platform offering excellent services to businesses. Streaming live video and embedding it on the user’s website is a very easy. Dacast is the simplest solution for streaming live video. The user can make use of the professional tools and utilities available through cloud computing. Two content delivery networks help reach the content audiences worldwide. The users can create as many live streams as they need but need not pay any extra cost. To live stream using DaCast, there is a need of source which can be a webcam or analog. Next step is to encode through DaCast. All encoders that give output in RTMP live streaming supported by the service. Encoders such as the TriCaster or VidiiU can use. The stream is then sent to DaCast using CDNs. With internet connected devices, the video distributed to the viewer around the world. DaCast partnered with Akamai and EdgeCast for this. Live Video streams can be embedded on the websites also. The embed code of DaCast has all the features of players and any change to the player are updated automatically without the need of any new embed code. The live stream can view from any mobile device or desktop device. DaCast has an included video player using which the live video streams broadcasted. It is available in HTML5 and Flash and is used based on the device accessing the streaming. The skin of the player is customizable so that it matches the theme of a website which is broadcasting the stream. The user has the option to brand the player with their brand or business own logo or a watermark. DaCast offers video services including the live streaming, video on demand and video hosting. The businesses can choose the best suitable package for their requirements.Even the basic plan comes included with features and options that will be helpful for the businesses. The pricing is very affordable compared to other video streaming platforms.DaCast offers better features than any other platform for lower prices. Setting up is easy with DaCast and is very simple. We have listed the complete guide to DeCast Live Video streaming and its Pricing.